Michigan Radio is now available for streaming using iTunes Radio. Starting in June 2014, we've joined a number of public radio stations around the country in this platform. Get the local news and programs that matter to you – wherever you are, whenever you'd like – from Michigan Radio using iTunes Radio. To use iTunes Radio, type Michigan Radio into the iTunes search field, and "Add" our station to your personal "My Stations" list for future listening. iTunes Radio streams radio stations directly to your device or computer. It is free on all devices and computers with iOS 7 or OS X Lion v10.7 or later, iTunes 11.1, or Apple TV 6.0 or later installed. With iTunes Radio, you have access to more than 250 DJ-curated and genre-focused stations. iTunes Radio is available in the U.S. only. 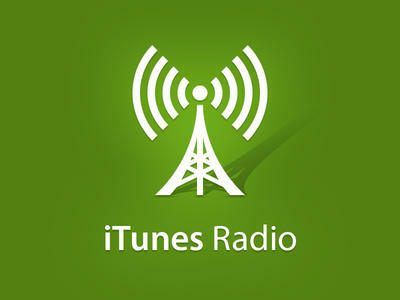 You can listen to iTunes Radio on the iPhone, iPad, iPod touch, Mac, PC, or Apple TV. iOS 7 or OS X Lion v10.7 or later, iTunes 11.1, or Apple TV 6.0 or later installed on your device or computer. Apple ID for use in the iTunes Store. iPhone, iPad, and iPod touch – Open the Music app and select Radio. Mac and PC – Open iTunes, go to your music library, and select Radio from the toolbar. Apple TV – From the home screen, select iTunes Radio. Use the search field at the top of the screen to find Michigan Radio. Search by using one of these Stream Title keywords - Michigan Radio, WUOM, or NPR News. Your favorites will appear in My Stations. To add, delete, or reorder stations, go to Edit Stations. See Apple's support page for more information about using iTunes Radio.